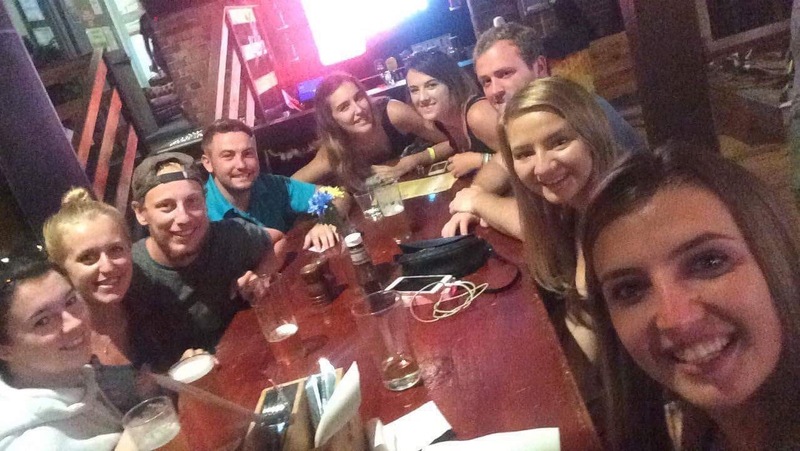 On 28th January 2017 we said goodbye to all of our new friends in Sydney with a meal and some drinks (some of our food had been thrown out by the hostel staff by accident so they gave us a $50 voucher for the bar next door so we didn’t have to spend anything!). 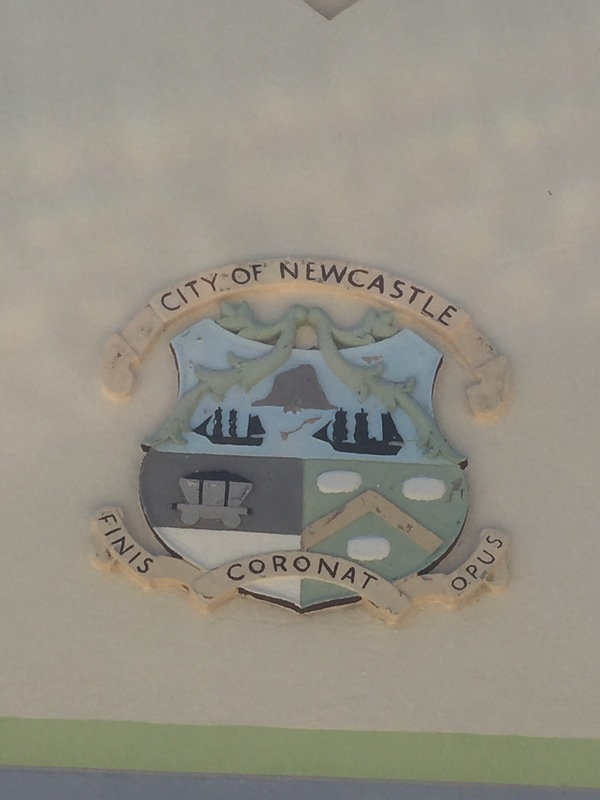 At 7pm we then got on the greyhound bus and began our adventure up the East Coast – first stop Newcastle, the second oldest city in Australia. We stayed in the YHA which seemed nice enough. It was really big, the beds were comfy and there was good wifi. We didn’t get there until after 10pm so it wasn’t until the next day that we started exploring. 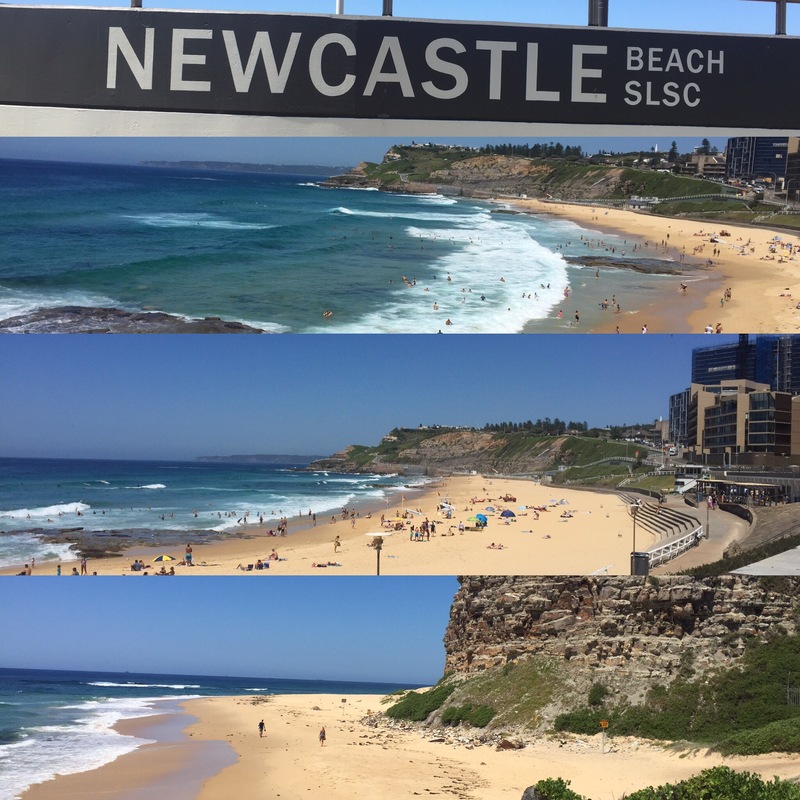 The weather was really sunny which was good seeing as a big part of Newcastle is the beaches – I imagine it being a nice place to have a holiday home if you’re from Sydney. As soon as we got off the bus we had seen another bus going to Wallsend via Jesmond and we have since found out that there is a Heaton, Wickham, Killingworth, Gateshead and there is a Morpeth which is the same distance from Newcastle as Morpeth to Newcastle in the U.K! 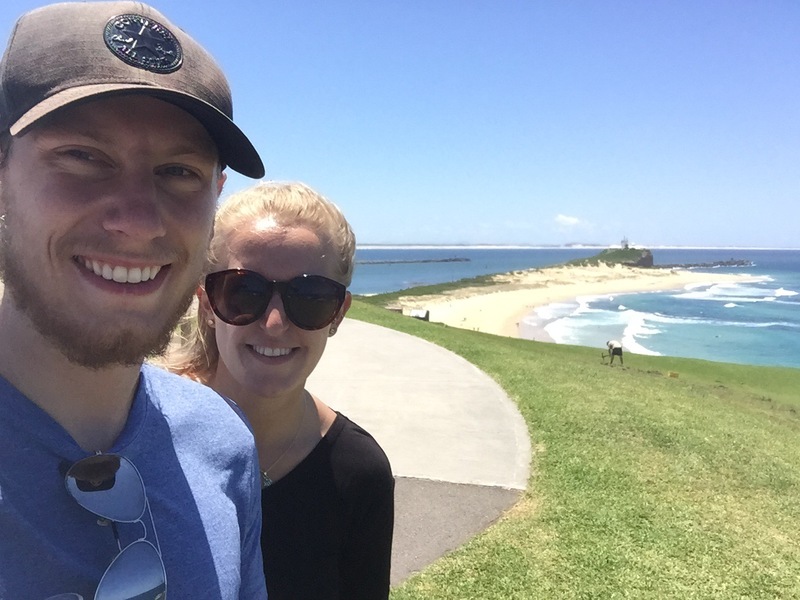 We walked along the coastline to Nobbie’s Head which is the entrance to Newcastle’s port. 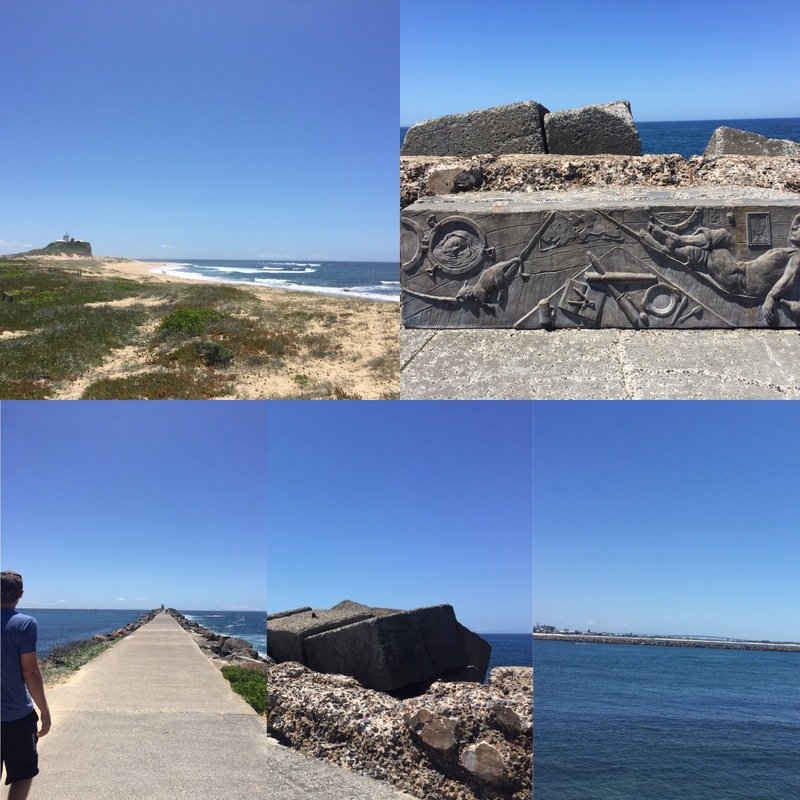 We walked along the breakwater – a path that has been made using huge concrete squares in the sea – to the end of the ‘pier’ and you could see in the distance beaches going on for miles along the coastline. 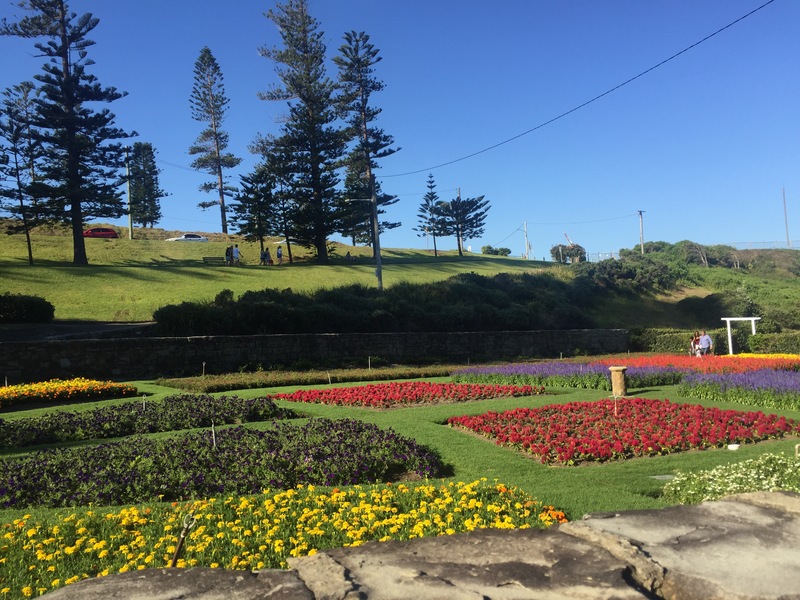 Later we walked to Fort Scratchley which was built in the 1880s as a defence for Newcastle. On our way up we had heard a cannon go off and seen the smoke from where it had been and when we were in the Fort we saw the cannon being put away. You were able to look in the Barracks and see pictures of the people who served here and what it looked like when it was in use. 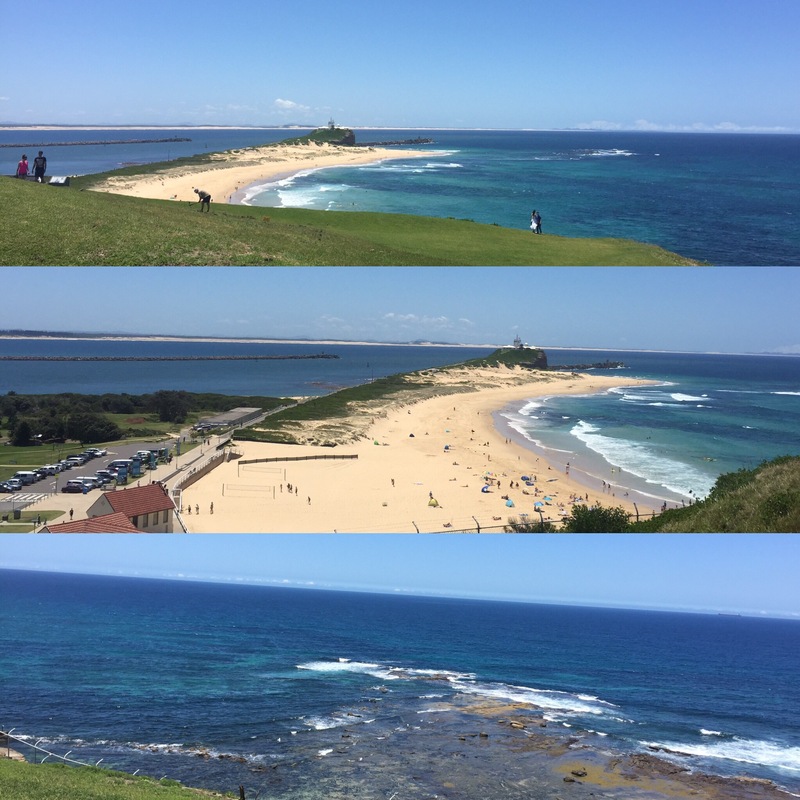 There are great views from the coast and the Fort was used in war time when the Japanese attacked Newcastle. 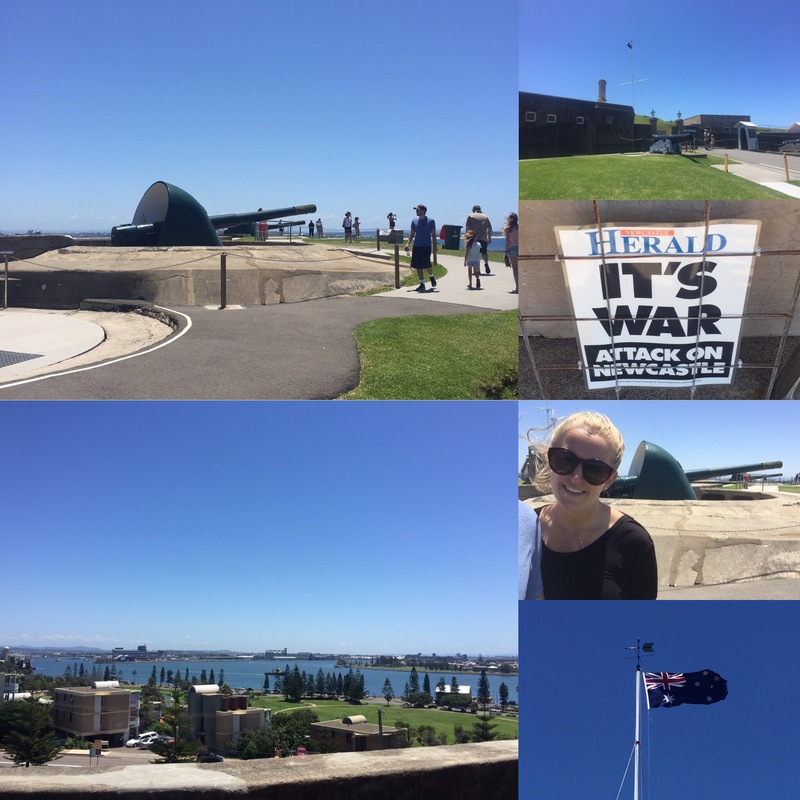 I hadn’t really realised until coming to Australia that they had actually been fired upon during the war. The rest of the day we spent sunbathing and swimming. 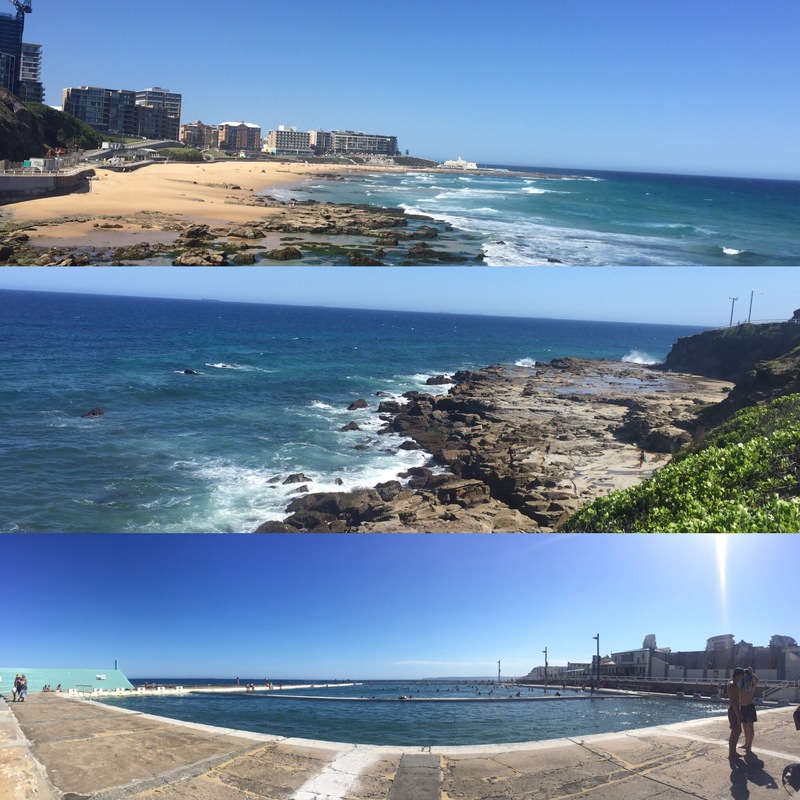 We went to the ocean pool instead of the beach which was cool. It was nice not to get all sandy and the pool was really big and had a place for lane swimming as well. We then walked along the coast to Bogey Hole which was built by the convicts. They are doing a lot of work on the coastline at the moment, I think to stop the coastline eroding away. Because of this, we originally thought the Bogey Hole wasn’t open as it had been closed for months due to falling rocks. Luckily it just meant you had to find another route and we were able to go to it. To get there we had to pass a really nice flower garden and we saw people getting wedding photos there on our way back. The Bogey Hole is down the side of a cliff next to the sea and the waves are able to crash up over the walls of the pool to splash people. There are proper steps going down to it but you still have to be careful you won’t slip. It’s cool having little pools like this, especially as it was built by the convicts so is very old. 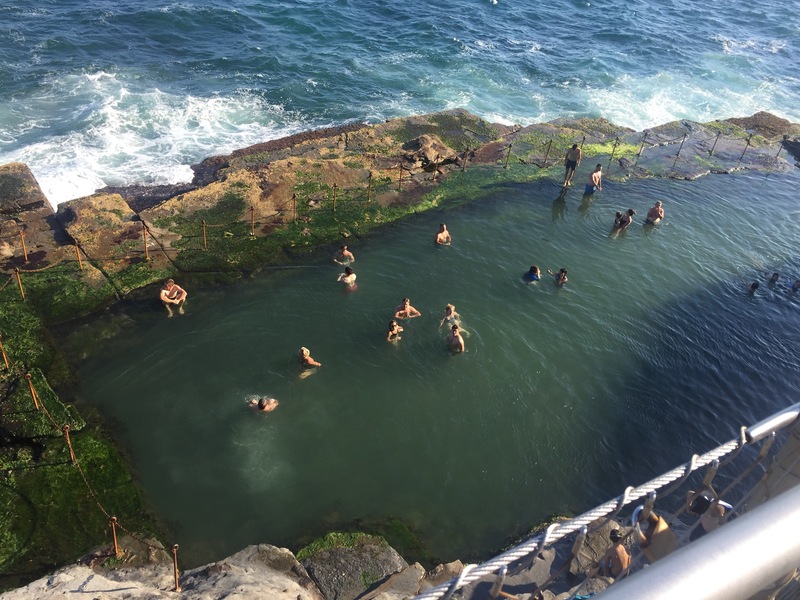 There have been ocean pools all up the coast which is a great idea considering what nice weather Australia gets and it provides some protection when the waves in the sea are too big. 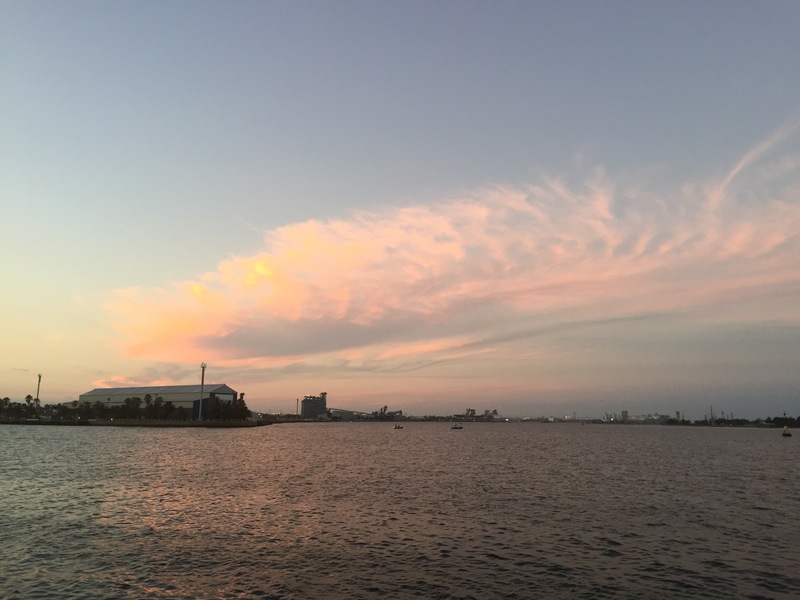 We relaxed in the hostel the rest of the day until around 8ish when we headed down to the harbour and I got a massive ice cream which we shared as we watched the sun start to set. We then walked along the harbour which was very lively, full of bars and restaurants (a bit like the quayside at home)! It wasn’t the best nights sleep that night. There were cockroaches in my room so I stayed in Niall’s room instead but that was very noisy so we left Newcastle feeling very tired. We are really glad we came to Newcastle (how could we not?!) and it really is a very pretty coastal city to spend the day at.